We saw Smokey at the exotic animal sale where we bought Robin. The owners didn't sell him for what was bid so we contacted them later and bought him. 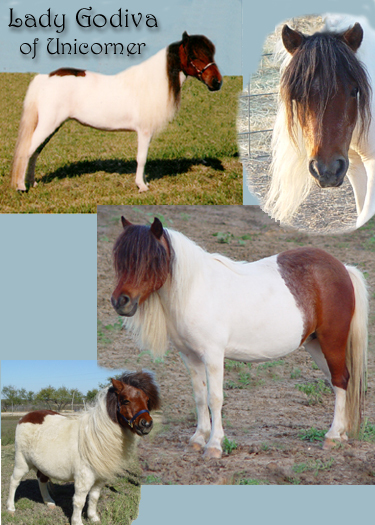 It is amazing that as little white as he had, he produced loud marked pintos. We found lady at an exotic animal sale in Huntsville, Texas. She wasn't registered but we bought her anyway and registered her in AMHR back before the registry closed. That is why her pedigree is so "short". Her mane reached her knees and it didn't take long to come up with the name Lady Godiva for her. Lady apparently doesn't like being a mom, she had only one filly for us. 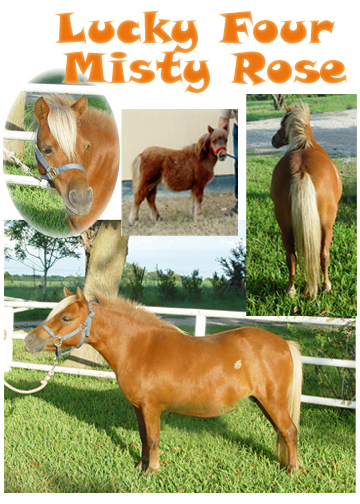 Lucky Four Misty Rose was one of our original three mares. 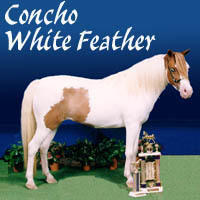 She was bred by Wade Burns and Jon Woodring, of Lucky Four Farms. She is registered in AMHR and AMHA. 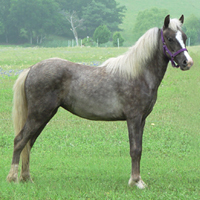 A striking silver bay in color, she has produced a rainbow of colors. 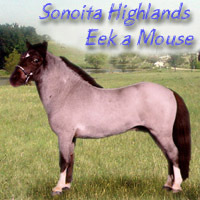 I'm not sure why, but she has a roan spot on her left flank, she has never passed it on. Taffy was bred by the Wagners of Flying W Farms. 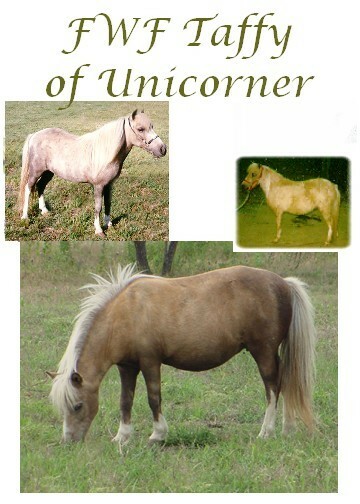 She was a sweet mare who produced several nice foals for us. We had a lot of fun showing Feather. She was Best of the Best at one show. 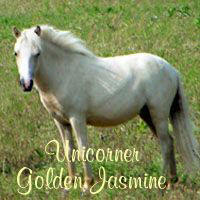 We miss our pretty Jasmine, daughter of our original miniature, Red Robin. 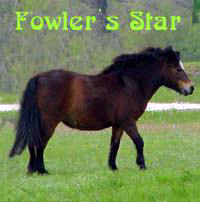 We miss you Star Girl, we so wanted a baby out of you and Lone Star...I guess it wasn't in the Stars. Even though she could drive us nuts sometimes with her quirky ways she still worked her way into our hearts. She is at peace at last and is buried under her favorite standing tree, where she will always be near her Palomino buddy. 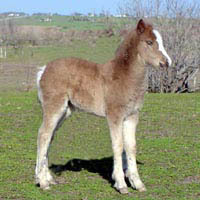 Bob and I had to make the terrible decision this morning to give our Shetland filly Deja Vu over to the angels. Deja made the trip to Congress but unfortunately instead of competing for ribbons she caught an upper respiratory infection and ended up fighting for her life. Despite intense antibiotic treatment and the expert care of her special friend and trainer, Kelli Shaw, Deja relapsed after getting back to Texas. She was humanely put out of her suffering from pneumonia at a Burleson veterinarian this morning. She joins her brother on the rainbow bridge.